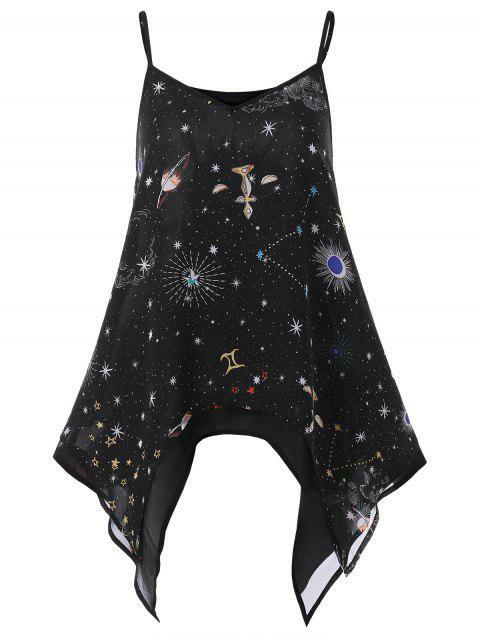 Our tank top brings a fresh new appeal to your summer wardrobe via its gorgeous starry sky print graphic. This unique tank top features a spaghetti strap and handkerchief hem for an easy-to-wear fit. Layered look with added volume for an ultra cool design. Pair it with jeans or shorts for a fantastic streetwear look!